The Minister Wallet Card is essential for any minister. 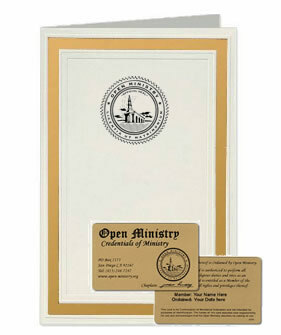 Carry and present your ordination status on the go with this official card. Have your ministerial ID with you when performing ceremonies and conducting religious duties.